One thing that we’re obsessed with here at Buffer is obviously the best times to share on Twitter, Facebook and LinkedIn. It just so happens that with social networks, the timing of when your posts go out plays a vital role in your success. Since we’ve got our heads in this all day, every day, I wondered if timing plays a big role in other things we do every day. So I looked into how our body responds to timing and how we can utilize that knowledge. It turns out that we actually have a very sophisticated internal body clock that governs almost everything we do, without us even realizing it. Read on to find out your body’s best time for everything. Our body clock is a small group of cells made up of unique ‘body clock’ genes. These cells turn on and off and tell other parts of the body what time it is and what to do. In fact, most of our individual organs have their own internal body clock cells as well. So let’s take a look at how the internal body clock affects everything we do, and what the best time is for our body to engage in different daily activities. The BBC also did a fantastic video of which the above is an excerpt of explaining more about how our cells work and the secret of our bodyclock. Eating – Which meal at what time? By far one of the trickiest topics to tackle is the optimal timing for eating. A quick search on Google reveals that there are as many viable diets as there are people. And yet, there are some great, general guidelines that we can follow. A recent study in Cell Metabolism tried to find out, given all things equal, if timing actually makes a difference. 2 groups of mice were put onto the exact same diet in terms of caloric intake. The only difference was that the first group had access to the food all day round, whilst the second group only for 8 hours during peak activity. The mice that ate only while active were 40% leaner and had lower cholesterol and blood sugar. 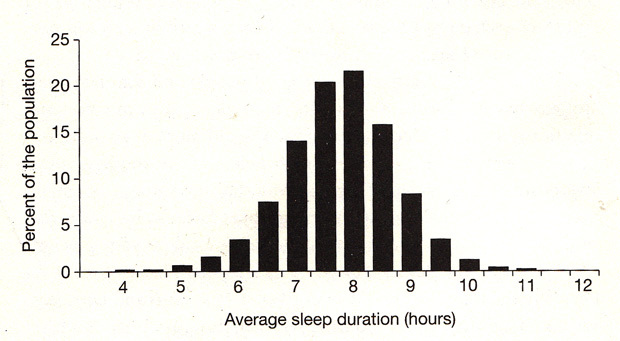 Sleeping – How long and at what time? While some of us identify as night owls or morning larks, most of us actually have a fairly regular time when sleep benefits us most. Professor Jim Horne from Loughborough University says that we’re naturally designed to have two sleeps a day: a long one at night and another one in the early afternoon. Early afternoon is when our energy naturally dips lower than usual and we have a harder time focusing. We tend to be susceptible to micro sleeps around this time—that is, tiny moments where we nod off before shaking ourselves awake. This is our internal body clock saying it’s a good time to go to sleep, so if you’re planning a nap—slot it into this part of your day! Although everyone is different to some degree, we actually all start out as morning people, and continue this way until around age 10. From ages 10–20 we start to sleep and wake up later and later until around 20 years old, when the pattern starts to reverse again and we start waking up earlier. Eventually, around age 55, we are going to sleep and waking up at roughly the same times we did when we were 10 years old. So, age has a huge bearing on how our body clocks operate and what our optimal sleep times are. You’re probably familiar with how teenagers prefer to sleep in late and go to bed late, but it turns out it’s not just teenage laziness (although it is “just a phase,” since these tendencies lessen as we get older). Teenagers are biologically predisposed to sleep and wake later than anyone else. This means they’re often struggling with important cognitive work at school during their least optimal times. A study of school students’ memory function in the UK actually showed that students performed 9% better on the same type of memory tests in the afternoon as they did in the morning. Another myth, similar to teenagers’ laziness when going to sleep is the fact that we need 8 hours of sleep each night. Daniel Krypke famously eliminated that myth recently with a study showing that, we don’t in fact need that amount of sleep to reach our body’s best performance. When choosing a time of day to exercise, paying attention to your body clock can improve results, as well as overall happiness through exercising. A general rule: later is better. This could be a result of our body temperature being at its peak later in the day, giving us a natural ‘pre-game warmup’ in a sense. Our receptiveness to pain is also lower in the afternoon, meaning we can push further in endurance sports. Blood pressure is also a factor in our exercise routines. In the first three hours after we wake up, our blood pressure rises the most out of any point in the day. Our blood vessels open up more to allow for blood flow later in the day, our blood is not as sticky then and we have a natural drop in blood pressure in the afternoon. Exercising in the morning was found in an experiment to either increase blood pressure or not make a difference at all. In the evening, however, exercise was found to reduce blood pressure by 10–11%. Additionally, our lungs function 17.6% more efficiently at 5 p.m. than at midday, according to a study of 4,756 patients led by Boris Medarov, an assistant professor of medicine at Albany Medical College in New York. The National Sleep Foundation reports that exercise in the afternoon can help deepen shut-eye and cut the time it takes for you to fall into dreamland. But, they caution, vigorous exercise leading up to bedtime can actually have the reverse effects. For other athletes, however, the morning could be the optimal performance time. Balance, for instance, is higher in the morning, so gymnasts might perform better then. The funny thing I found out about our best time for working is that in some ways, everything I thought I knew about being productive was wrong. It turns out that circadian rhythms really affect how we work as well, so we all have peaks and troughs in our physical and mental capacity to get work done. Numerous studies have demonstrated that our best performance on challenging, attention-demanding tasks—like studying in the midst of distraction—occurs at our peak time of day. When we operate at our optimal time of day, we filter out the distractions in our world and get down to business. Light is the single biggest external factor that affects our internal body clocks. Each of us has a slightly different internal time, which can range from a 22 hour cycle (a fast body clock, associated with morning larks) to a 25 hour cycle (a slow body clock, which night owls would have). The average is around 24.5 hours. Sunlight helps us to adjust this internal time cycle each day to synchronize it with the world’s 24-hour cycle. It works like this: light hits the back of our eyes and travels into our brains, triggering the release of chemicals onto our body clock cells. This tweaks our internal time to be either slower or faster, making it exactly 24 hours. This also means that the more sunlight your eyes receive during the day can affect your clock by slowing it down or speeding it up when you don’t want it to. If you get lots of light in the morning, this will speed up your body clock and help you wake up earlier. Getting lots of light in the afternoon and around sunset will do the opposite—slow down your body clock and help you stay up later into the night. This is probably the best trick I know for helping your body to adjust to a new timezone after flying halfway around the world, so it’s great to understand how it really affects our bodies! Both of these things make our body clocks run slightly out of sync with the world. We start waking up a lot during the night, and often waking up far earlier than we’d like to. This is because the lack of light coming into our brains through our eyes gives a much weaker signal to our body clock cells to adjust them to a 24-hour period. And although we don’t lose any of our body clock cells, much fewer of them are actually active as we get older. What’s also important to consider here is that the importance of lighting in your office or at home is tightly connected to the temperature in your workplace too. Make sure that both are aligned to get an even better focus on your activities. There’s still hope, though. An experiment that tripled the amount of light dementia and alzheimer’s patients received during the day saw improvements in mood, better sleeping patterns, improved cognitive functions like memory and slower deteriorate of physical functions. There are some other areas that are affected by our body clocks that I found interesting. Here are some of my favorite facts that I found out, mostly from the BBC video mentioned at the top of this post (it’s pretty amazing—I’d recommend watching the whole thing if you have time). In the late afternoon/early evening our body clock is at its peak, so alcohol will have a lower effect on our cognitive ability. Lucky for us, this is right about the time for post-work drinks, so we can enjoy alcohol without it knocking us about like it would in the morning, or making us sleepy like it would at lunch. Administering medications like chemotherapy which can kill healthy as well as diseased cells can be hugely affected by our body clocks. This recent study showed that if fewer of our healthy cells are active when the medication is administered, it will hurt less of them and be able to target the diseased cells better. Actually, this distinction is becoming less obvious as more and more births are affected by medical intervention, but the extremely relaxed state of our brains and muscles at this time and our lowered pain sensations mean not only is this a popular time for natural births to occur, but probably the best time you could choose as well.